Blog National Margarita Day: Who Froze the Tequila? National Margarita Day: Who Froze the Tequila? 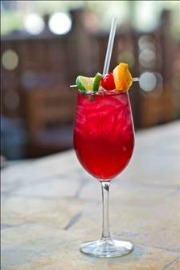 Sunday, February 22, is National Margarita Day. Trying to ascertain exactly who invented the classic tequila cocktail is like sifting through a salt mine for a quarter-carat diamond. There is a broad spectrum of contenders from one side of the Mexican/American border to the other; from bartenders to socialites and beyond. Speculation be damned, however, when it comes to giving credit to the inventor of the frozen margarita machine. Mexican-American inventor, entrepreneur and restaurateur, Mariano Martinez fully realized the American Dream in Dallas, Texas, 1971 when he adapted a soft serve ice cream machine into what he dubbed, “The World’s First Frozen Margarita Machine.” Unable to keep up with demand for the crafted hand-made family recipe for margaritas at Mariano’s Mexican Restaurant, Martinez got inspiration from a Slurpee machine at a local 7-Eleven. He converted a used ice cream machine to dispense the intoxicating and refreshing tequila concoction. With just the press of a button, one of the world’s most popular cocktails was born. Martinez never sought a patent for his invention. He was content to live the American Dream of prospering and owning his own business. Other versions of the frozen margarita machine soon hit the market. These products have become a standard in bar equipment today. Martinez retired the original machine in 2005 after it had served countless thousands of rounds of frozen margaritas for 34 years at Mariano’s Mexican Cuisine. 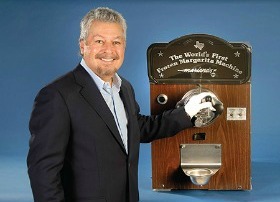 He donated it to the Smithsonian Institution and in September 2010, Martinez’ frozen margarita machine was included as one of the “Top Ten Inventions from the National Museum of American History’s Collection”. Border Grill at Mandalay Bay: offers the Mango and Cilantro Margarita ($14), Pineapple Vanilla Margarita ($12), Raspberry Chipotle Margarita ($12), Sangria Margarita ($11) and the Border Shaker for Two ($29). Aliante+Casino+Hotel+Spa: offers $2.22 margaritas, giveaways from Tequila Cazadores and a live mariachi band at The Salted Lime. Tacos & Tequila at The Luxor: offers two-for-one Top Shelf Margaritas from 11 a.m. to 3 p.m.
Chayo Mexican Kitchen & Tequila Bar/The Linq: offers two-for-one specials on all margaritas. Cantina Laredo: Tivoli Village: offers the Tres Amigos margaritas for only $8: a classic Casa Rita served with a shot of Sauza Hornitas Silver and a Coronita.